You are here: Home / Den Talk / Marsh and Phillips stay in orange and black. No word on Hunt. Marsh and Phillips stay in orange and black. No word on Hunt. 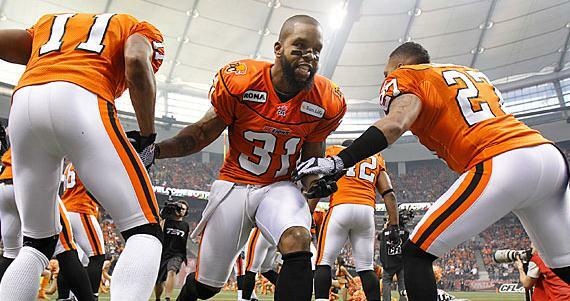 It came down to the wire, but the BC Lions signed two more of their own Wednesday morning as the team announced that Ryan Phillips and Dante Marsh would be back with the team in 2012. Farhan Lalji of TSN broke the story last night indicating the sides had agreed to new deals but the contracts were not officially done until this morning. The signings give the Lions defence a solid boost of of continuity on defence, with Solomon Elimimian the only huge loss so far. That said, popular defensive lineman Aaron Hunt has not been as successful with his dealings with the Lions and is currently shopping himself around the league as a free agent, with Hamilton and Winnipeg said to be interested in his services. It would likely have to be a full time playing role and a starters wage for Hunt to move, which apparently the reason why he hasn’t re-signed with the Lions. There have also been rumblings the Lions could be bringing former Stubler protege Byron Parker into the fold, which would leave the secondary very crowded but stacked with talent. We’ll have a recap of all the Lions action coming later.